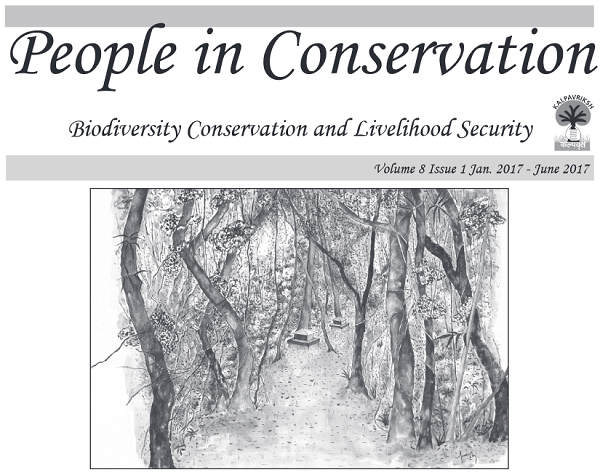 People in Conservation newsletter shares information in the form of news, events, case-studies and perspectives on issues related to forest governance, marine biodiversity, pastoral communities and agro-biodiversity. The purpose of this activity is to build greater awareness and to spread information amongst various actors and stakeholders regarding conservation and livelihood issues, especially those related to laws and policies. The newsletter on People and Conservation have been appreciated and used by the participants, particularly the grass roots organizations who do not have easy access to such resources. The newsletter reaches around 1652 India-based users via land mail. The latest edition of the newsletter focuses on the thematic of Community Conserved Areas (CCAs) in India with a special section on CCAs in South Asia.